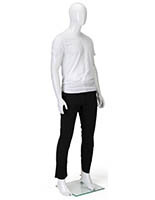 This male movable arm mannequin combines a neutral white finish with realistic features and a modern-looking chrome elbow joint. 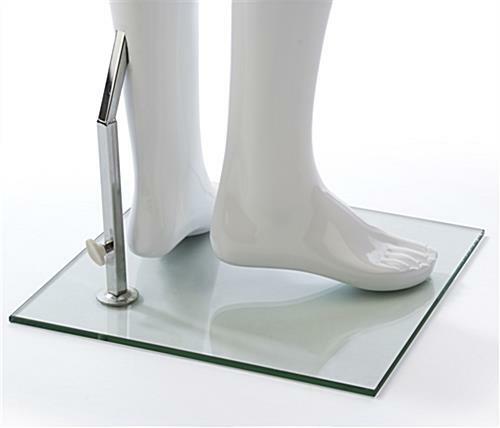 The flexible full body form is 74" tall and comes with a heavy base made of clear tempered glass. 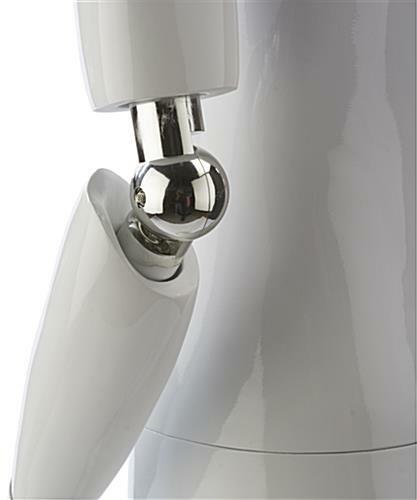 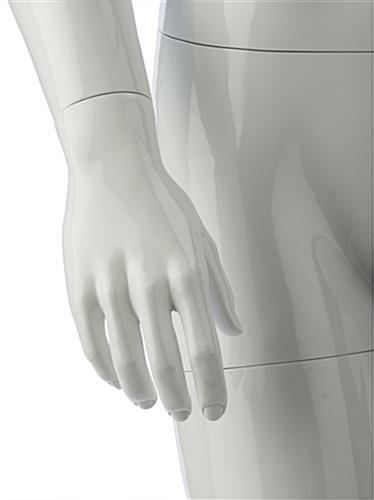 The abstract bendable arm mannequin includes a calf rod for maximum stability while in use. 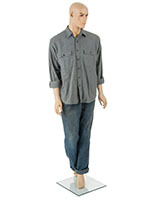 The full body dress display features detachable torso, arms, hands and leg for ease of dressing, transport or storage. 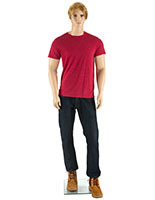 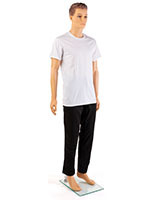 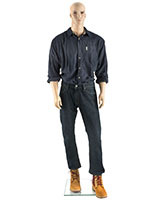 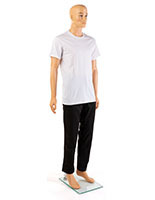 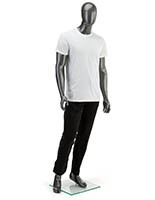 This type of modern-looking fiberglass male mannequin with abstract bendable chrome elbow offers flexible up and down and side to side arm movement for posing. 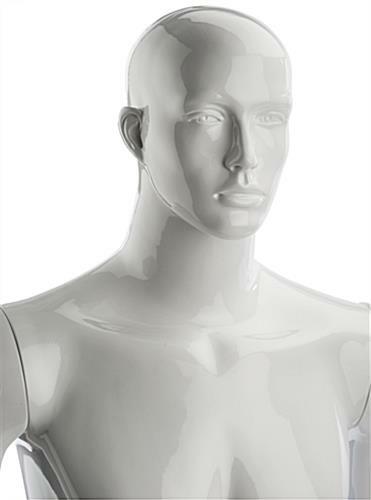 Each lightweight white finish dress dummy is both stable and easy to move, making it a perfect choice for use in retail, commercial, or trade show environments.